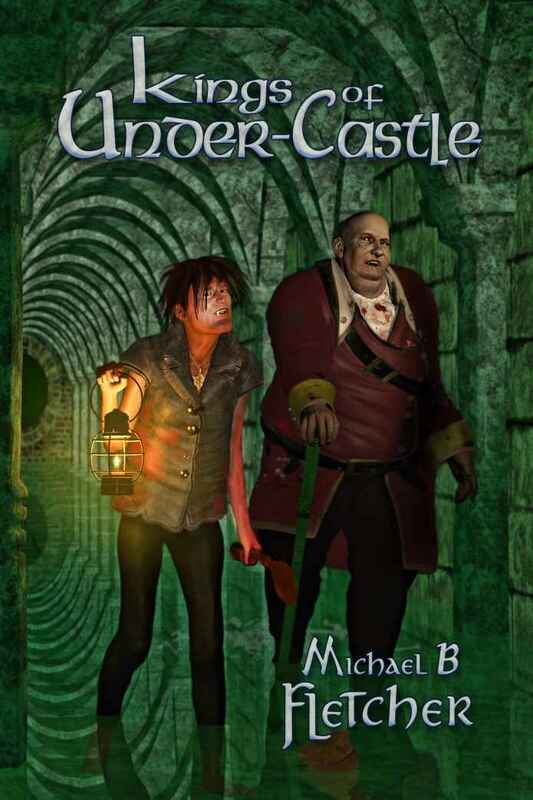 Our inaugural title, Kings of Under-Castle by Michael B Fletcher is now published! More information on the formal release date, give-aways, etc, will be forthcoming. In the meantime, enjoy the cover (by John Hughes) and the blurb. Kings of Under-Castle is an anthology of short stories featuring two rogues, Pickel and Weasle, who live in the drains beneath the King’s castle. Pickel and Weasle encounter the officious Courtier Bland, the macabre Surgeon Strichnin, the Keeper of the Royal Bloodhounds, and the deadly Hanging Judge. They meet up with the King and Queen, the lovely Helena von Gosporin, the cheery jailer, Drossum, all the while being supported/hindered by two cheeky urchins, Joe and Ferd. Pickel and Weasle are quick to purloin valuables to make their life in the dark tunnels more comfortable, nor are they fussy about what they eat, as long as it’s meat. Their hilarious adventures get them into many sticky situations which test their ingenuity and they usually, but not always, end up on top.